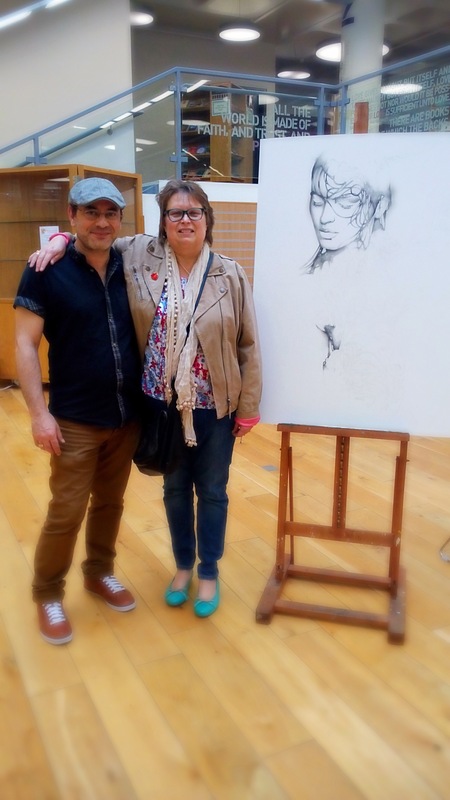 Once again it was lovely meeting my fans at the Uxbridge library yesterday 10th October 2015. 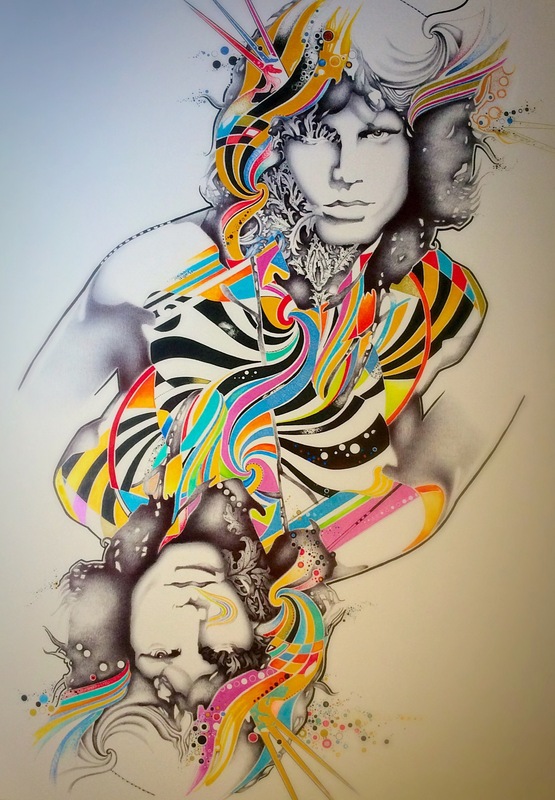 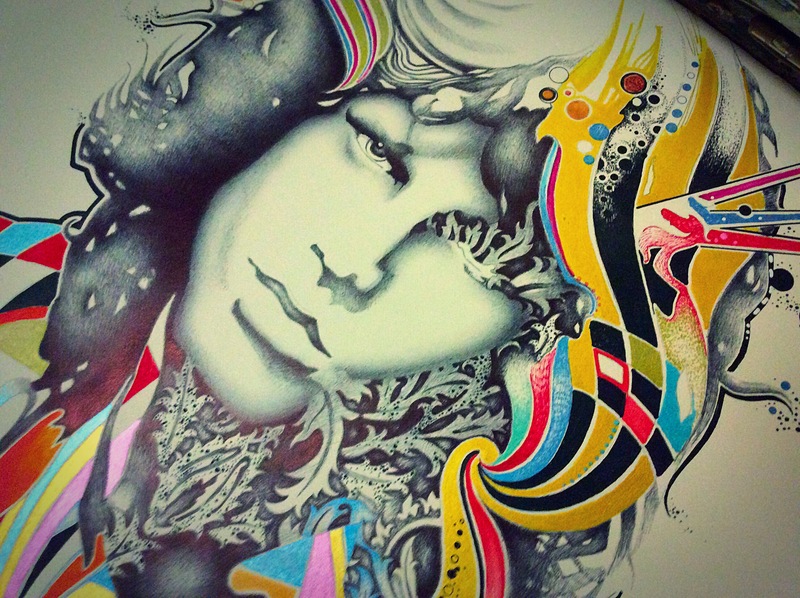 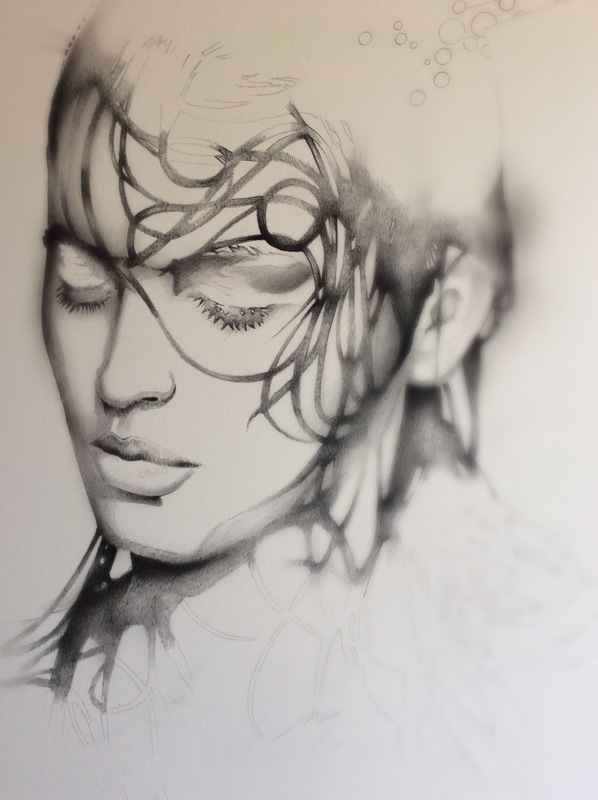 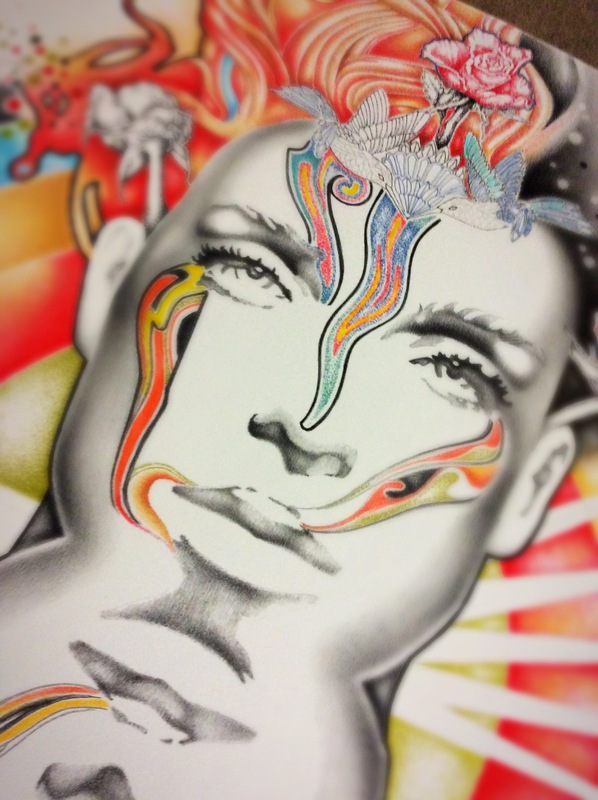 (I love alone) mainly a pencil and charcoal drawing but with a view to add colour…. 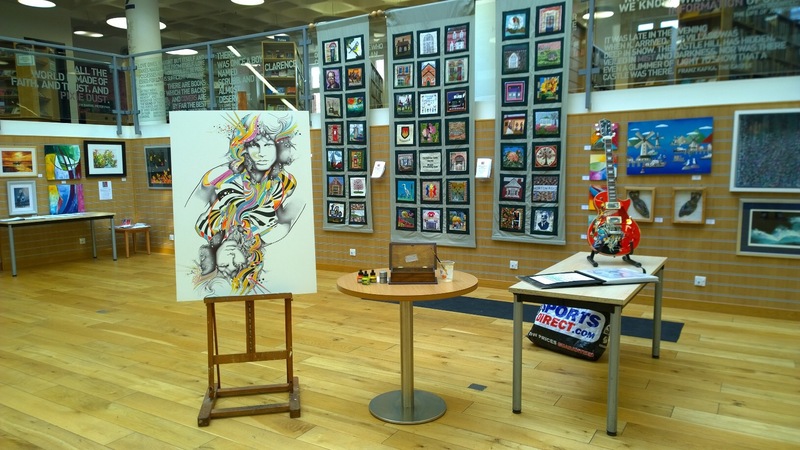 I would like to thank the public who attended my event , people and friends who helped to make it happen…. 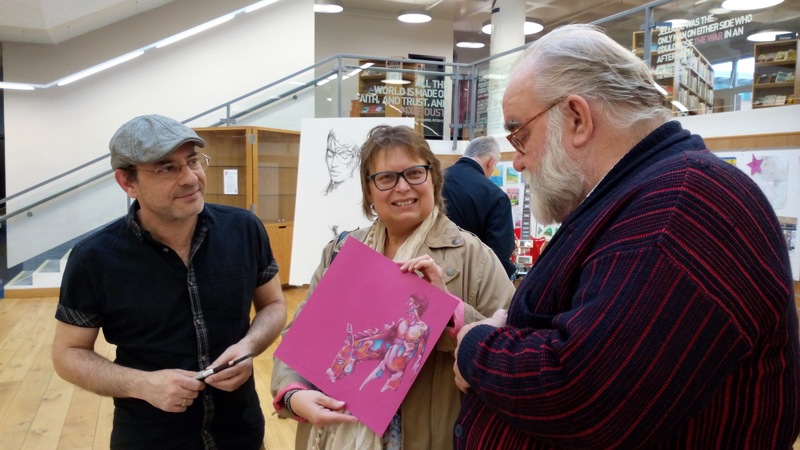 Thanks to Zoe, the library staff, Anita, Susan, Keith, Tim, and in particular Darrin Reeves whom in both occasions photographically recorded the MEET THE ARTIST event ! 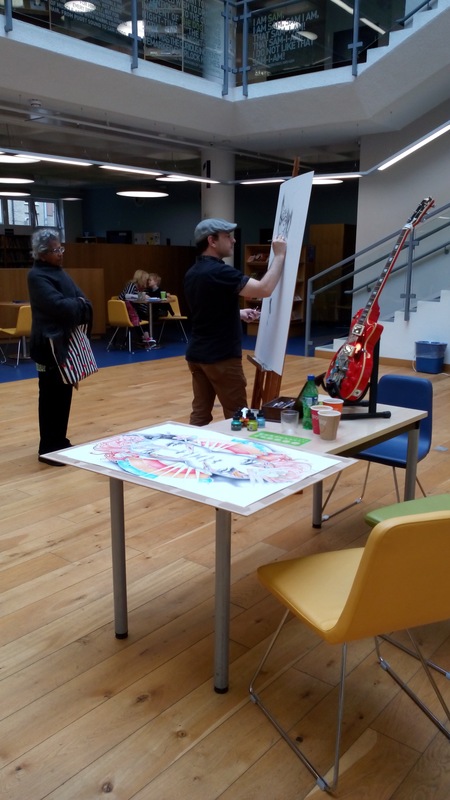 What an incredible buzz yesterday afternoon at the Uxbridge Library…. 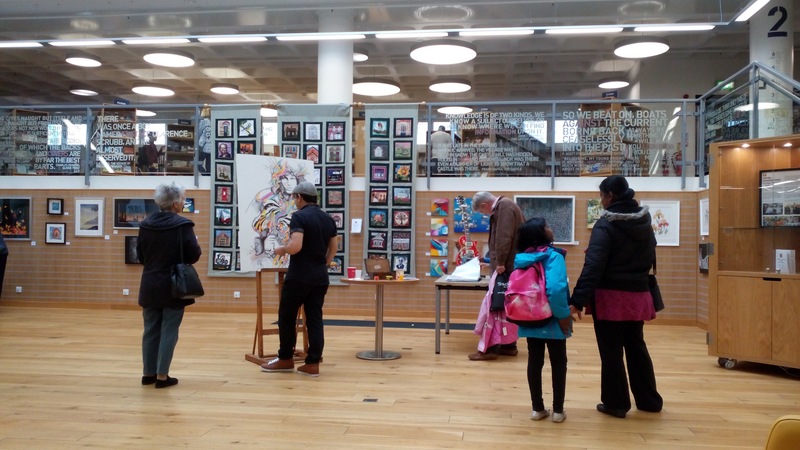 …knowing that a crowd of spectators were going to look at every move that I was going to make in a very public place like the beautiful Library in Uxbridge, Greater London ! 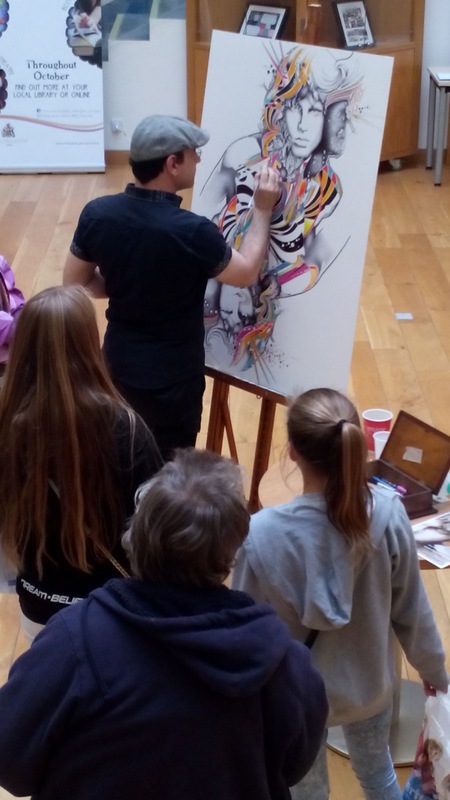 Well, I couldn’t ask for a better outcome and experience! 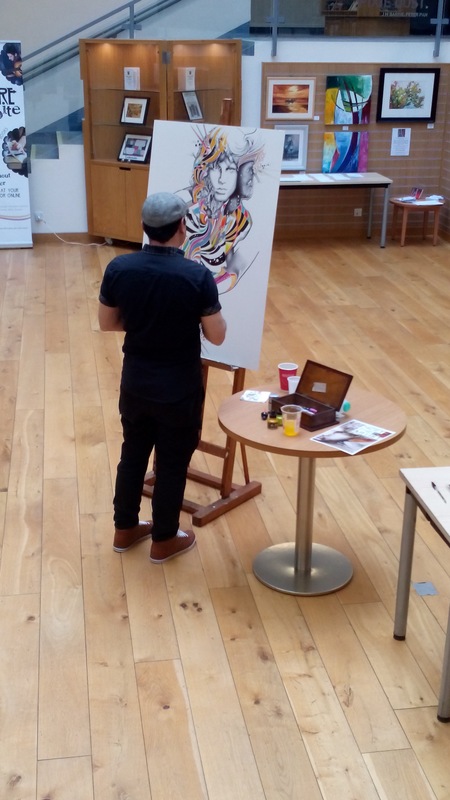 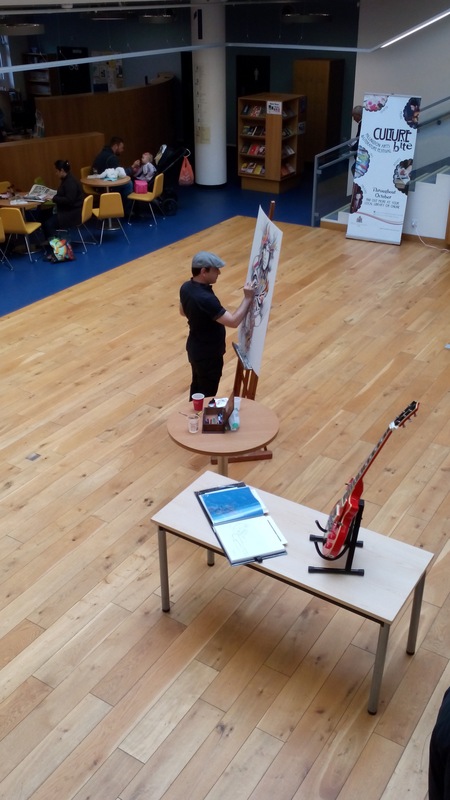 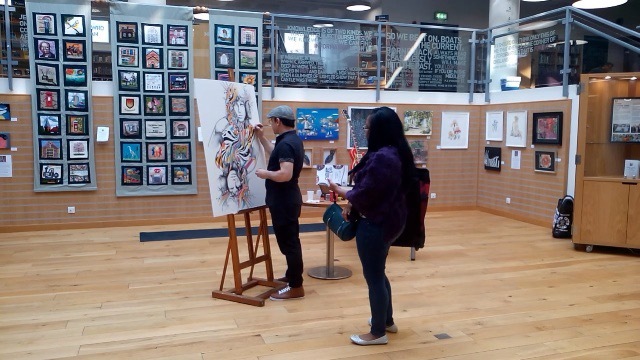 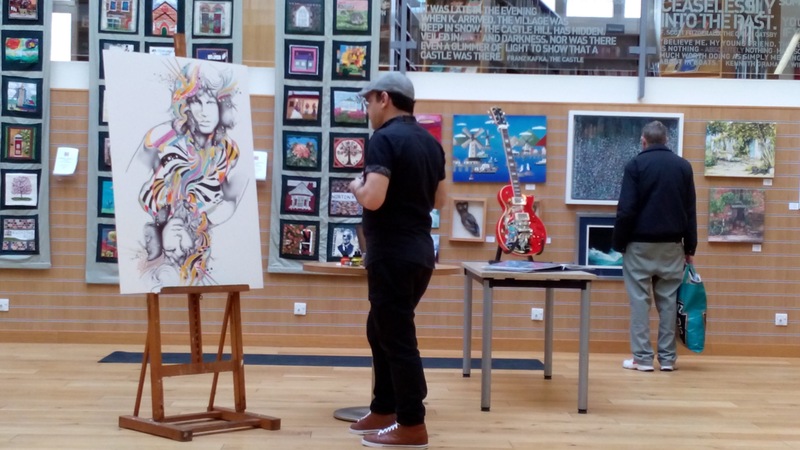 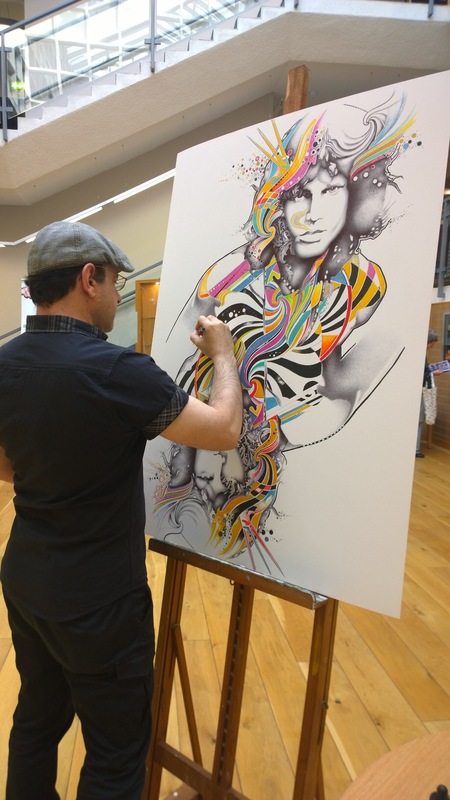 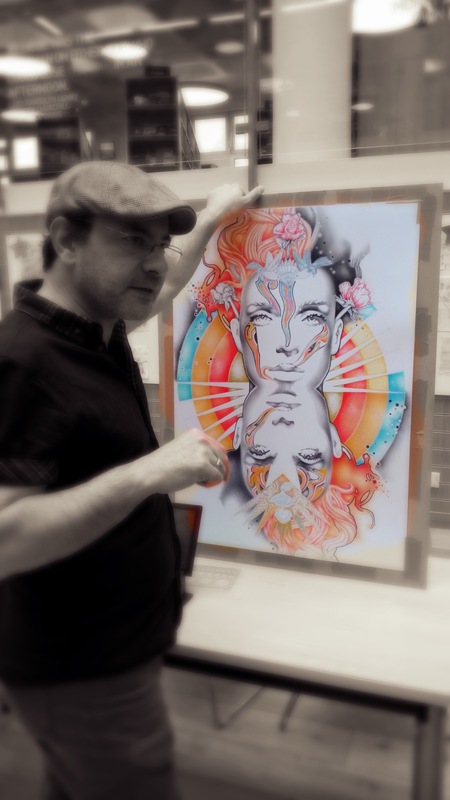 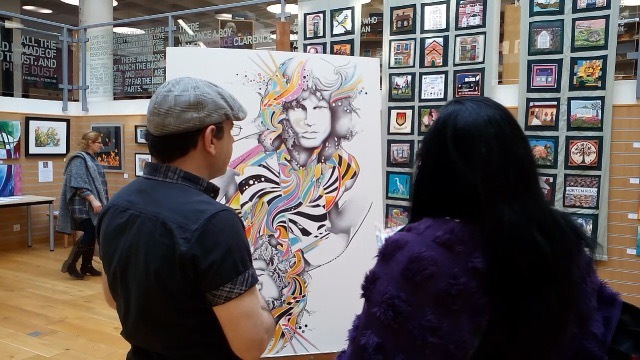 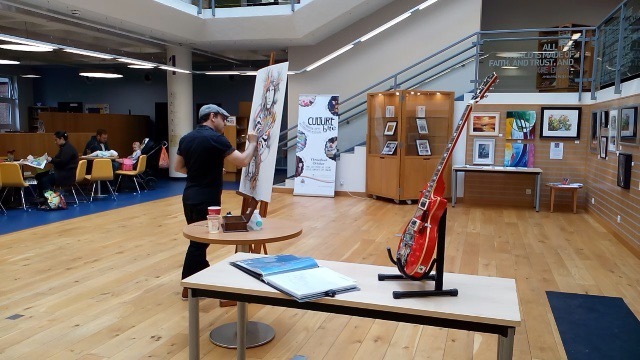 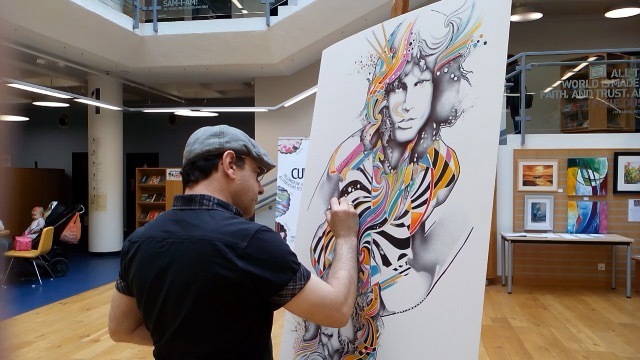 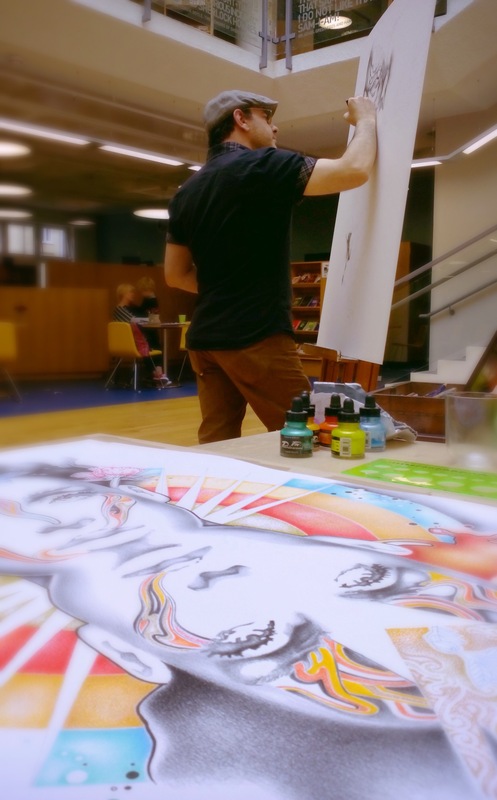 The Library itself has a fantastic atrium exhibition space, I have exhibited there numerous times in the past but to draw live is a different story altogether ! 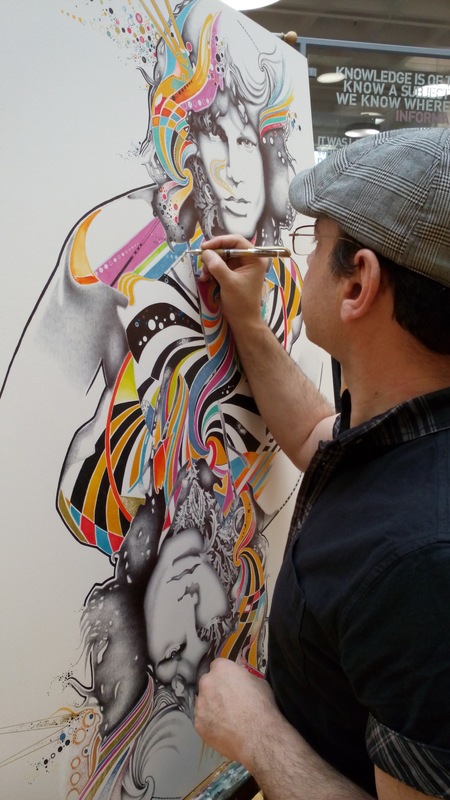 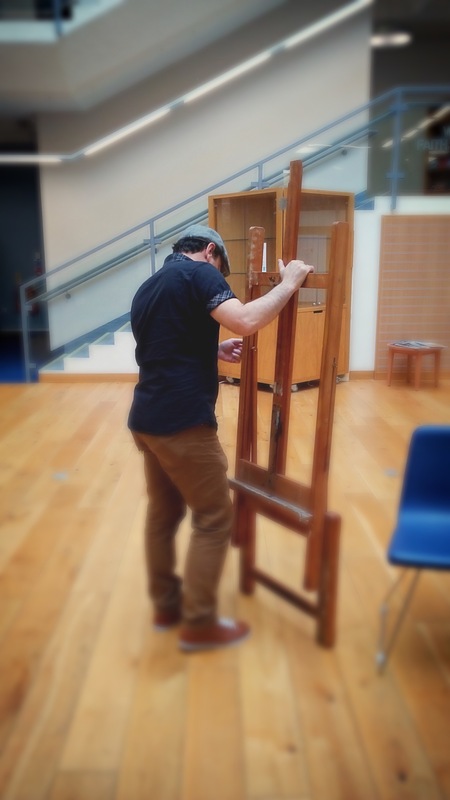 To my amazement, as soon as I started drawing, I was of course in my element…. 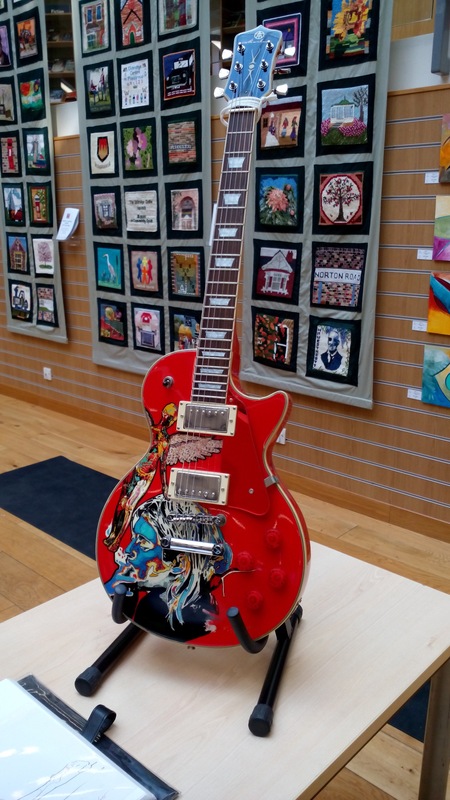 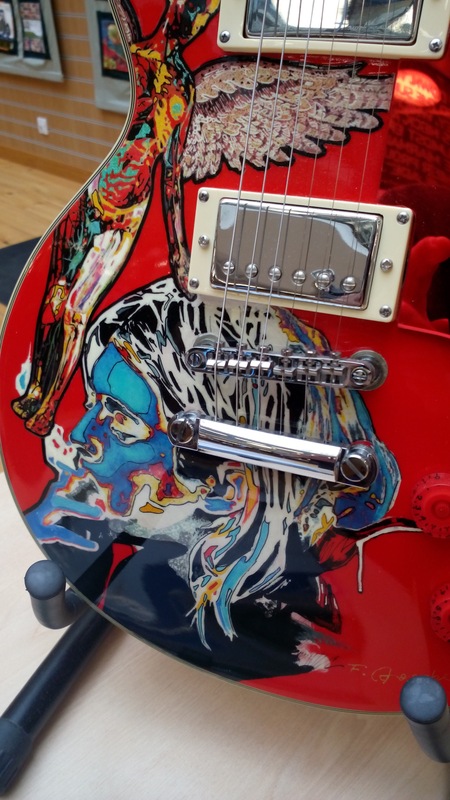 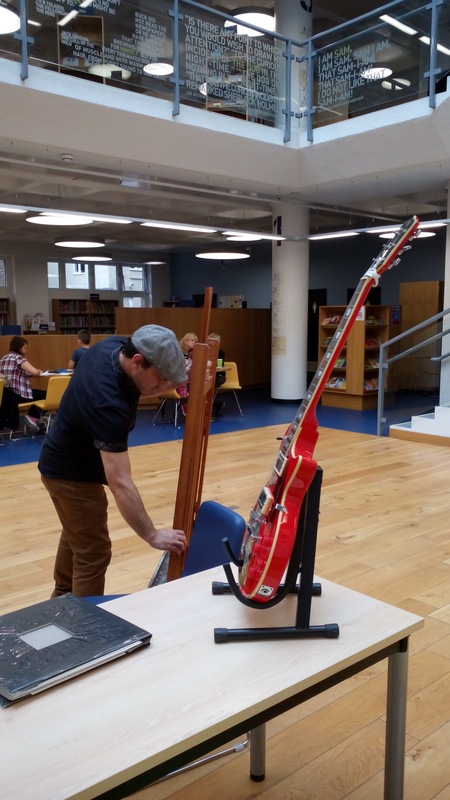 All set up : The Kurt Cobain Art Guitar that I proudly designed a while ago for Marlow Guitars was beautifully displayed on a table, next to it , an album of mainly original drawings and signed prints and signed postcards…. 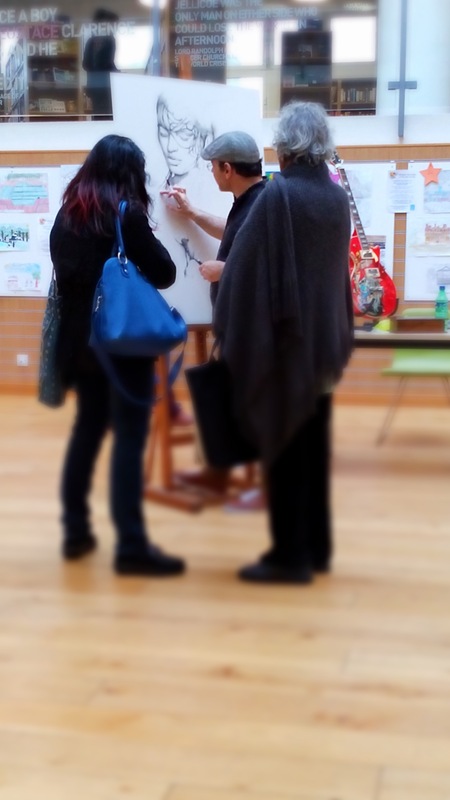 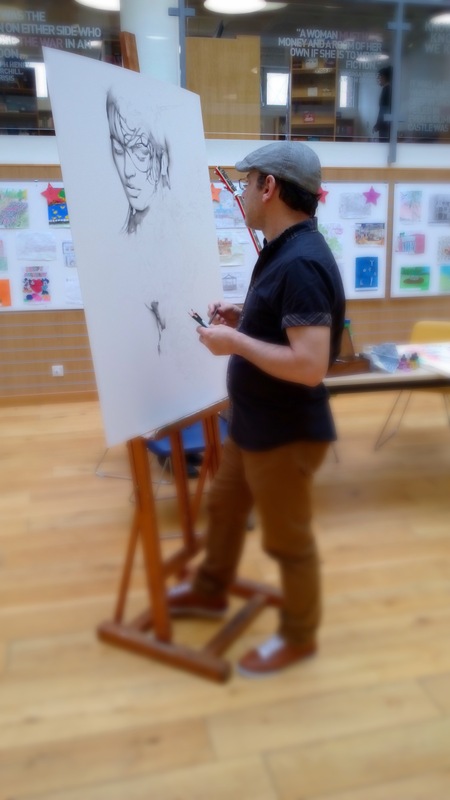 There I was , drawing away while I could hear people footsteps behind me, then I knew the public was gathering in ! 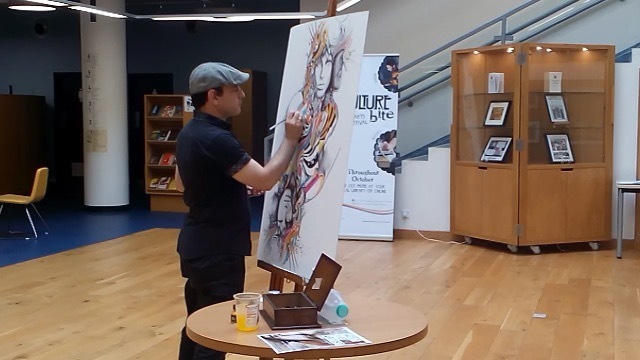 2 hours of pure : live drawing, interaction with people who had googled my name prior to the event to find out more about my art practice and stuff, loyal Fans who religiously follows me on social media , friends and ex colleagues who traveled for at least 2 hours through the London traffic just to be there to see and support me…. 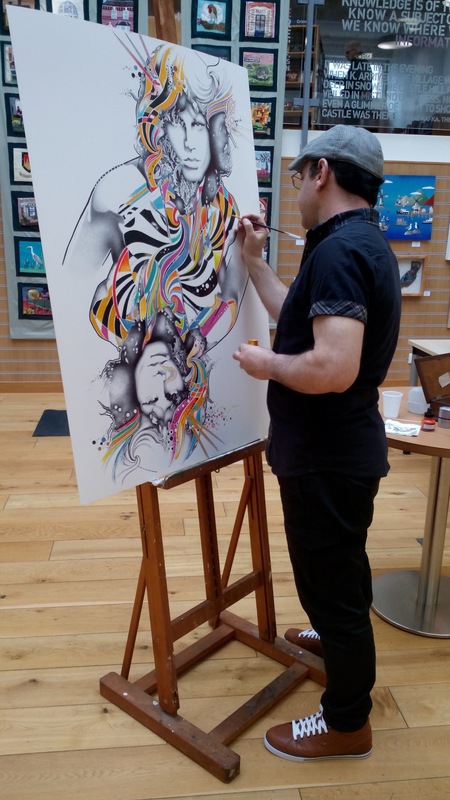 I would like to thank them all by mentioning their first names, they would recognise themselves…. 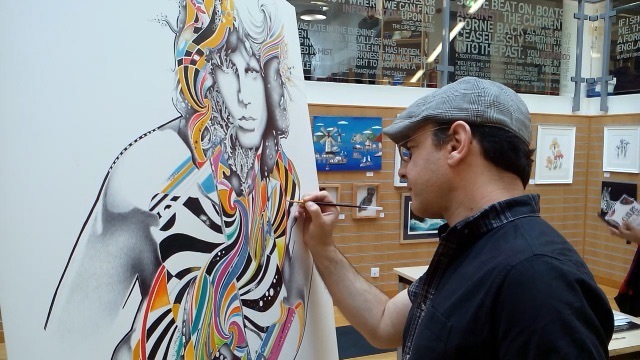 Enjoy the photos taken by filmmaker and friend Darrin Reeves…. 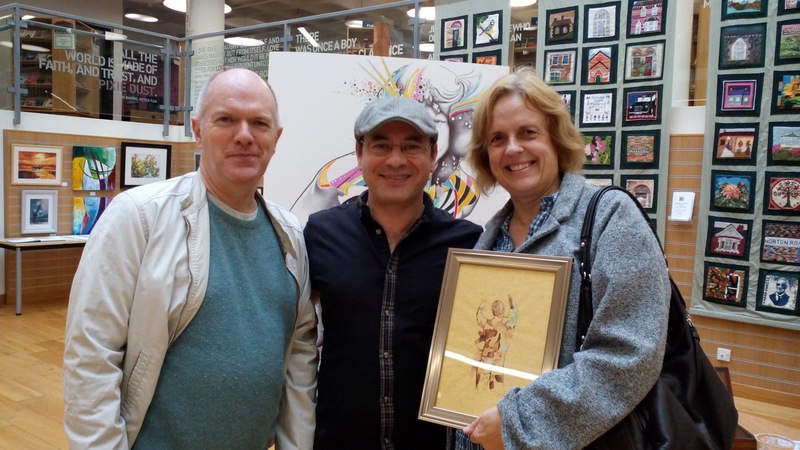 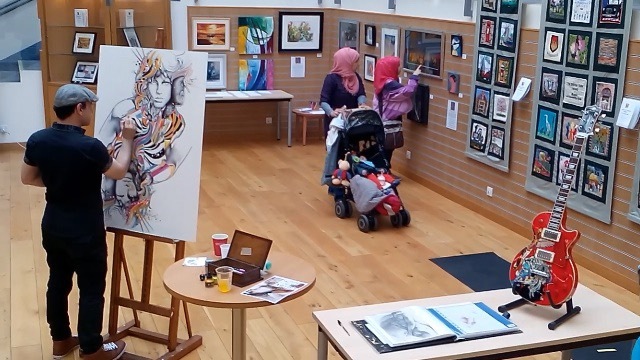 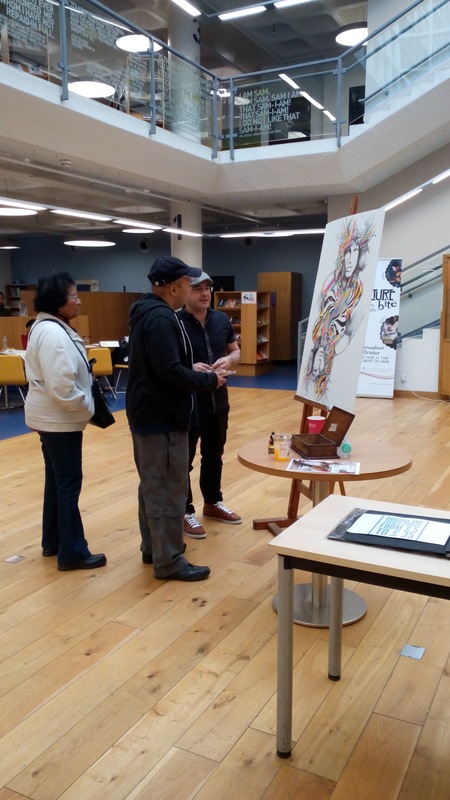 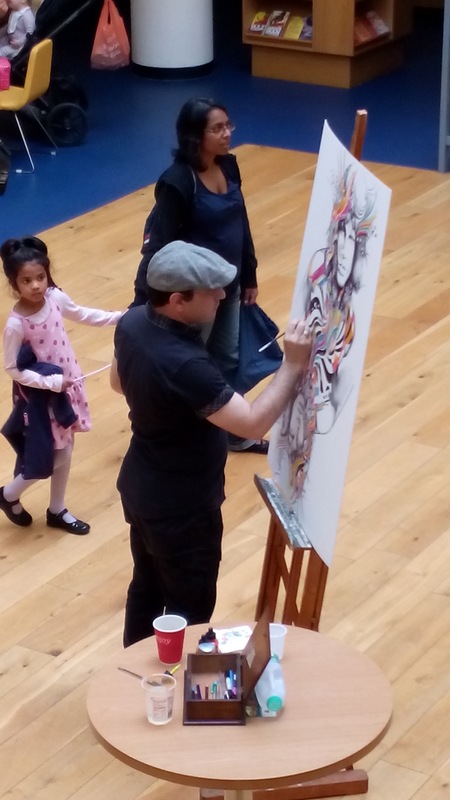 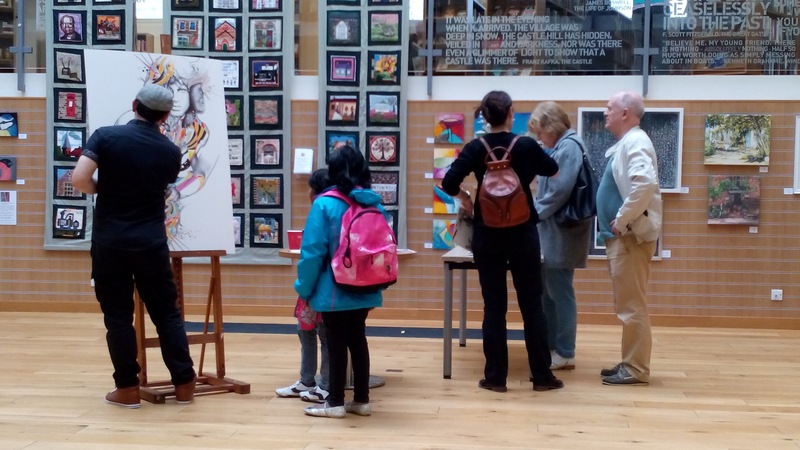 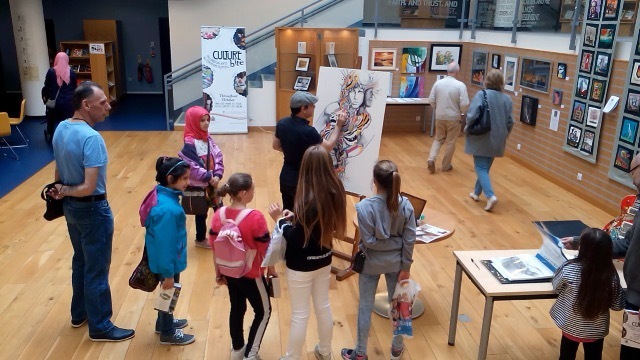 See you all again next Saturday 10th October 2015 at Uxbridge library from 2 to 4 pm for the second session of MEET THE ARTIST !